Selling your home can be a bit overwhelming. There are a lot of moving parts to make sure it goes as smoothly as possible. My job is to make the process of selling your home as easy and enjoyable as possible, and I have dedicated my career and livelihood to this goal. 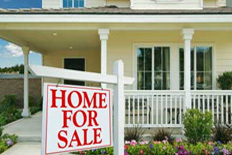 As your agent, I will be your tireless advocate, ensuring that you sell your home quickly and at the price you deserve. Please contact me for a free consultation. I look forward to meeting you. In the meantime I have attached a free valuable brochure that will answer a lot of your questions about the selling process. I hope you find it helpful but please call with further questions.